"Bill Schiemann's book is a comprehensive presentation of the need to better understand, measure, and increase organizational people equity. It clearly transforms concepts that have historically been considered less tangible into actionable imperatives. Today more than ever, it's essential that leadership maximizes alignment, capabilities, and engagement within their organizations." —Paul Schultz, President and COO, Jack in the Box Inc.
"Reinventing Talent Management has arrived just in time. Given the challenging times we face today, recruiting and retaining the very best people is now more important than ever. Bill has developed a unique innovative framework on how to do this, as well as provided a broad array of practical approaches to putting the theory into action." "Reinventing Talent Management is an outstanding blend of research and practice. It reports compelling research on the value of investing in talent and offers specific recommendations on how to develop people equity through alignment, capabilities, and engagement. The book confirms what good people managers do and offers specific guidelines for those wanting to upgrade their people management skills." "Bill makes the case for reinventing talent management and tells us how to do it. The book is loaded with good examples and must-take actions that lead to a winning talent management strategy." 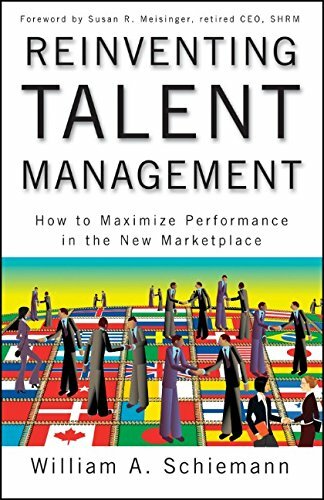 "Talent management certainly needs to be reinvented-this book does it! Read, learn, redo!" "Reinventing Talent Management provides an accessible framework that offers pragmatic ways to better understand how investments in human capital and talent can be measured and linked to financial returns."